That’s right, my fellow puzzle fiends and PuzzleNationers! One year ago today, the very first PuzzleNation Blog post went live on WordPress, and we’re overjoyed to embark on a new year of sharing puzzly goodness of all sorts with you! After 365 days, 170 posts, and hours and hours of discussing the best and brightest, the weirdest and most wonderful, the most fascinating aspects of the worldwide puzzle community, we’re still going strong and busier than ever! With the recent launch of our Classic Word Search iBooks (Volumes one, two and three! ), as well as our interview feature 5 Questions (new one coming Thursday! Check out the first two installments here and here! ), we’ve been looking forward quite a bit lately. So we thought we’d take this opportunity to look back and chronicle some of the awesome achievements that our homebase, PuzzleNation.com, has accomplished since its launch. It started with seven games — Tanglewords, Classic Crossword, StarSpell, Classic Sudoku, Crossword Raiders, Classic Word Search, and Guessworks — later adding Diggin’ Words, Classic Fill-In, and Invisible Word Search to the roster of playable puzzle games. Looking back, it’s kind of amazing when you consider how many puzzles have been solved since the launch of PuzzleNation.com. 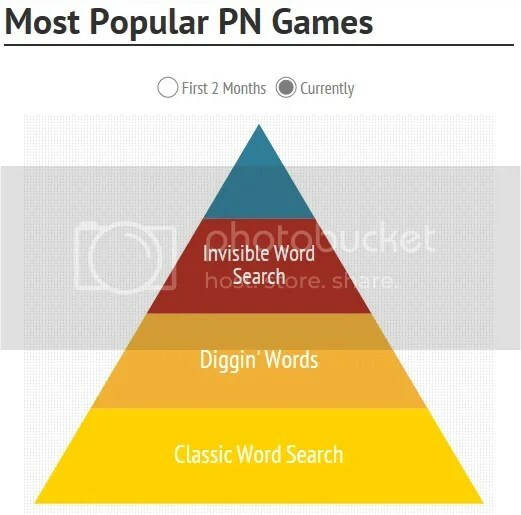 The top 3 PuzzleNation puzzle games solved the most times since launch are (#3) Invisible Word Search, (#2) Diggin’ Words, and (#1) Classic Word Search (with nearly twice as many solves as Diggin’ Words). Those same 3 puzzle games were the top 3 puzzles solved in the last 2 months. 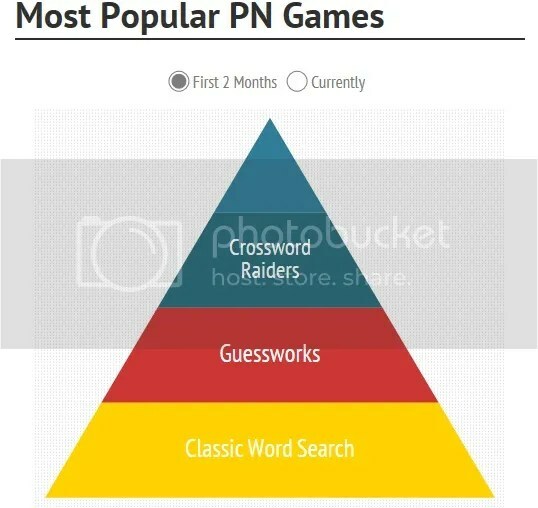 The top 3 puzzle games in the first 2 months of PN’s existence were Classic Word Search, Guessworks and Crossword Raiders. 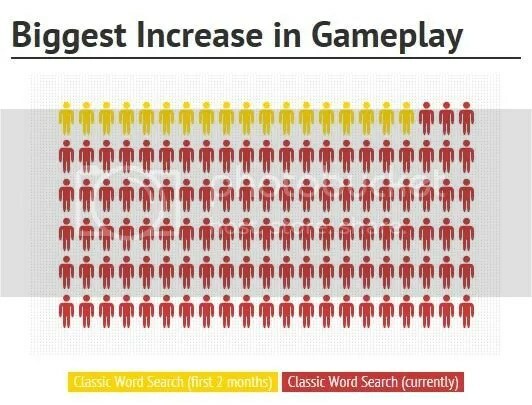 Classic Word Search also had the biggest increase in solves since launch. Not double, not triple, but SIX TIMES as many Classic Word Search puzzles were solved in the last two months as there were in the first two months! Another notable improver was Tanglewords, which doubled from about 1,000 solves in the first two months to about 2,300 in the last 2 months. 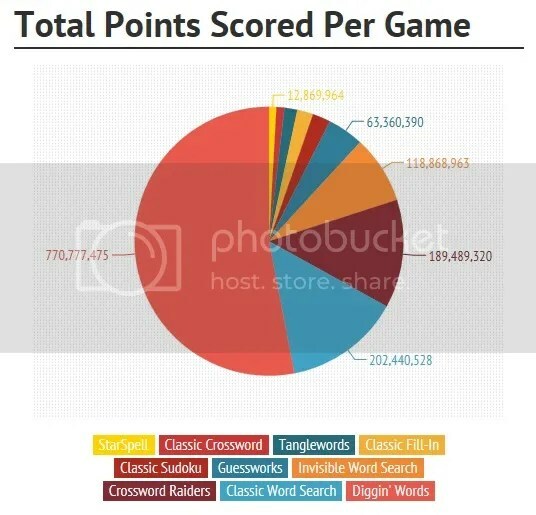 How many points have puzzlers collected since PuzzleNation.com launched? As you can see, even the smallest sliver of the pie represents thousands and thousands of solves by PuzzleNation players! 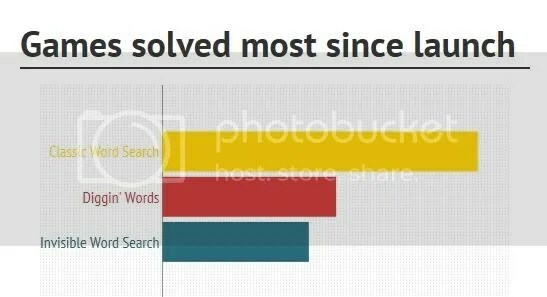 All this adds up to over half a MILLION puzzles solved since launch! 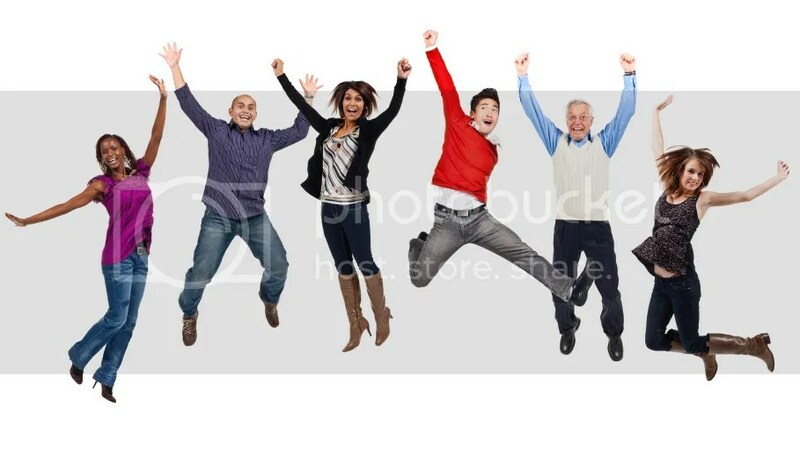 And the PuzzleNation Blog is proud to be the voice of PuzzleNation and the place where you can find all things puzzly (and PuzzleNation-y) on the web! This entry was posted in Games, PuzzleNation, Puzzles and tagged About Us, anniversary, birthday, Classic Word Search, Geeking Out, Holidays, iBook, PuzzleNation, Puzzlin' fool by gmdirect. Bookmark the permalink.